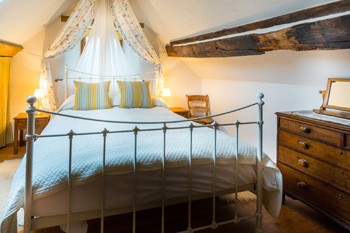 Sleeps 2, Bring out your inner Romeo & Juliet! 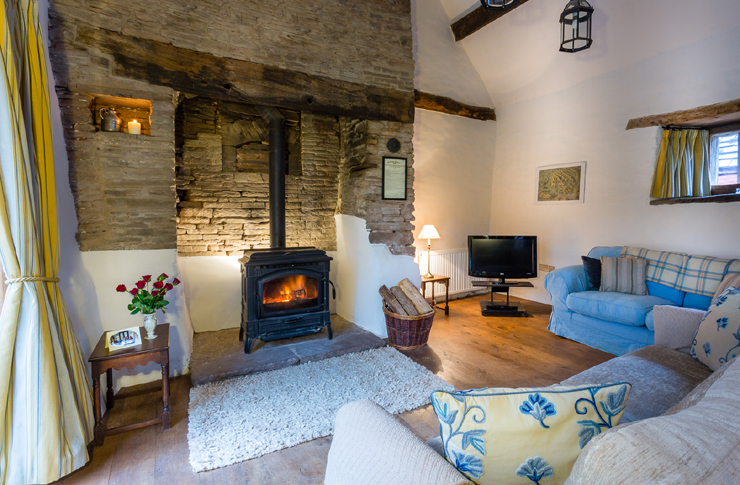 A perfect spot to hunker down together, or from which to step out with lovers, friends & pets onto the farm, the river, the local pub. 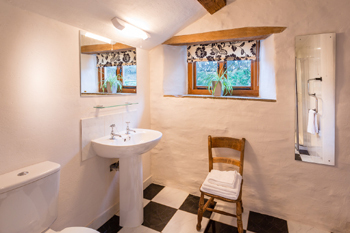 Goose Cotts is a romantic nest. 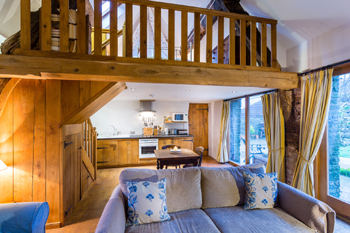 Its luxurious canopied king-size bed stands on a mezzanine with an oak balcony looking down over the well-appointed lounge. 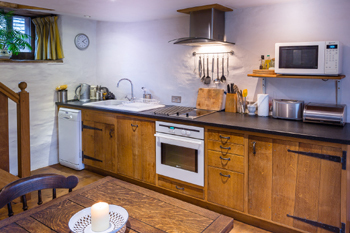 It makes an excellent base for exploring the area, coming home to a great kitchen and huge wood stove. Or a secluded spot to shut out the world and relax. 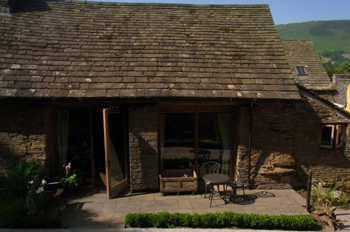 The handsome glazed frontage has an east-facing breakfast patio, and looks out to the spring running opposite the door, surrounded by herbs & alpine strawberries. 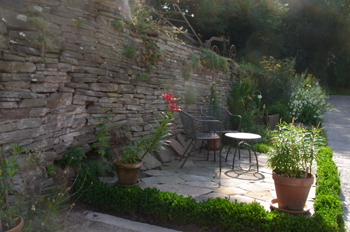 Beside this is a sheltered terrace with cute box hedging that catches the noonday sun, its walls colonised by ox-eye daisies and Welsh poppies.